Today if one visits the spot, he will see ashes and charred bones where the mountain used to be. If he will look closely at the solidified rock, he will see the ribs and bones of the huge serpent, charred and lifeless. Set against this shadowy backdrop is Nathaniel Kressen’s latest novel, Dahlia Cassandra, which launches this evening in Strand Book Store’s Rare Books Room (828 Broadway, 3rd floor) with a reading from Kressen and a conversation with Dallas Athent. The novel traces a teenage brother-sister duo abandoned on an Idaho farm, whose tender balance is disrupted by the arrival of strangers. I discovered Kressen after the writer Karen Lillis invited me to an installment of Kressen’s reading series, the Loaded Canon, at Brooklyn Oenology, which cleverly pairs writers with cocktails. 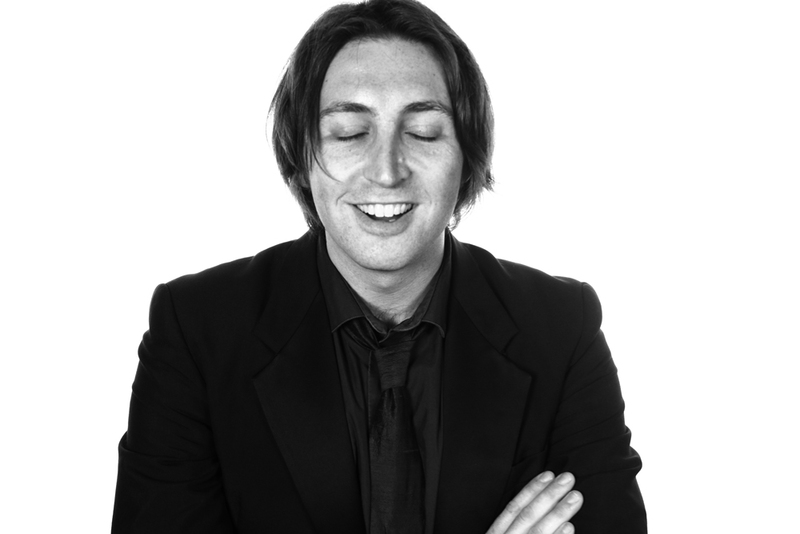 While a theatrical reader, Kressen’s most intriguing attribute may be the intensity of his sheer indie hustle: in addition to The Loaded Canon, he spearheads the Greenpoint Writers Group, and his self-published debut Concrete Fever became a Strand bestseller and landed him interviews in The Rumpus and Vol.1 Brooklyn. 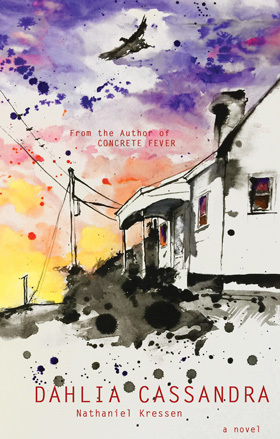 I caught up with Kressen to ask about the new book—illustrated by his wife, Jessie T. Kressen, who was responsible for the brilliant cover of Concrete Fever—and how he got to know Idaho. What first drew you to Craters of the Moon National Park? And how much time did you spend in the small towns in that area to research this book? My wife and I took a month-long road trip around the country after college, staying in state and national parks. I would have proposed to her on a cliff’s edge in the Badlands if a rattlesnake hadn’t interfered. At one point while driving, the terrain on either side of us got really crazy, just black volcanic soil, mountains that led to nowhere, small towns that looked like they’d seen better times—and that was Craters of the Moon. We were only there for half a day that first time, we drove the loop, we did a hike or two, but this otherworldly place sort of stuck with me and kept popping up in different things I was writing. Two years ago, as I was finishing the first draft of the book, Jessie and I returned there to live out of a campervan for a week—basically to see what I got right, what I got wrong, and what I didn’t think of. That week changed the entire book. I gutted an entire storyline that wasn’t serving the heart of the story, my understanding of the characters and their perspectives grew deeper, their everyday experience. How cause and effect works in a place like that, who or what could get lost to the void. One of the first images that came to me, with Dahlia Cassandra, was a silhouette of a person on the horizon, drawing closer and closer. What does it mean if you’re isolated from everyone and everything, and you don’t know whether that person coming is going to be a friend or a threat? Dahlia Cassandra by Nathaniel Kressen Interior Artwork by Jessie T Kressen. I didn’t realize they did atomic testing there–Los Alamos usually gets all the credit. Arco, Idaho, is a town just outside Craters of the Moon, and it was actually the first town in the world to be lit by nuclear power. Then, less than a decade later, the reactor melted down in what’s still the only fatal reactor incident in U.S. history. So, to put it mildly, it’s a place of extreme highs and extreme lows. Great Caution, Idaho, the fictitious town where the novel takes place, draws a good amount of inspiration from Arco, but it’s even more entrenched in the past, it’s more isolated. That said, it was pretty eerie to have finished a first draft and then meet a kid in Arco bagging groceries who was the living embodiment of one of the characters. Evel Knievel’s failed Snake River jump also adds to the mythology of that area. Does that appear in the book? I could be aging myself, but as a kid in Colorado in the ‘70s, Evel Knievel was a big deal. Sorry to disappoint, old-timer, but Evel Knievel does not figure into the book. That said, mythology plays a substantial part in the novel and that landscape is tailor-made for it. It feels so desolate and at the same time so evocative. Anything seems possible out there—and yet, if it’s all you’ve ever known, I imagine it must feel so crushing, so empty and devoid of opportunities. Side note, on our research trip, we drove past a sign for a ghost town while we were in the midst of a severe thunderstorm. It had to be around midnight, when it happened, we’d underestimated the distance driving through the Sawtooth Mountain Range. Naturally, I tried convincing my better half that we had to stop there for the night, but she reminded me how much I enjoy being alive. Probably the only opportunity I’ll get, though, for a real-life Scooby Doo moment. Your last book, Concrete Fever, did exceptionally well without the support of an established publisher or agency. Has this become a matter of pride? Are you looking for an agent or a “real” publisher for other projects? The success of a small indie release like Concrete Fever is a huge source of pride for me, and also a huge source of gratitude because it symbolizes the efforts of many, many people who helped me not only workshop the book, but learn the industry, target the right stores, produce events, the list goes on. Behind every success story are a thousand more behind the scenes. Nothing’s overnight. In terms of agents and publishers, I’ve certainly tried to land one but I feel like the industry is in sort of an identity crisis right now. There seem to be a whole lot of concerns beyond pure aesthetics. As a young unknown author who tends to write raw literary fiction, it’s difficult finding that one special advocate who believes in your vision and knows how to sell it in the current landscape. I mean, maybe someone will read this interview and pick up a copy of Dahlia Cassandra and think, Hey, that’d make one hell of a movie. That could happen, but I can’t hinge my self-worth as an artist on it. I’ve gotten countless rejection letters—even after Concrete Fever had become a Strand bestseller without any backing from the industry. Just people seeing it, flipping through a few pages, and deciding to take a chance on an unknown author. Thankfully what I’ve learned to take away from industry rejections is that no one can tell you your work doesn’t deserve to be out there. The caveat is, that puts the responsibility on the artist to make sure it’s polished. So, create the best possible work you can, get others’ eyes on it, revise until it’s truthfully ready, package it in the most thoughtful and dynamic way you can, and good things will result. Even if it doesn’t sell right away, the process will make you better at your craft. Is this book hand-stitched, or with unique covers like Concrete Fever? We hand-stitched and painted the first couple hundred copies of Concrete Fever, then took those earnings plus a tax refund and bought the initial paperback run of Concrete Fever. A big concern in making that leap was we wanted to maintain the hand-made quality, we wanted the book to feel special in someone’s hands. So we invested in heavy textured cover stock, a French-flap cover, and it really did feel like a physical art object. We brought the same care and attention to Dahlia Cassandra—even more so because this book includes color artwork inside. Folks are going to look cool on the subway, reading this. How is it working with your wife? Is that a different kind of pressure, or just sheer bliss? Collaborating with my wife comes pretty close to sheer bliss when I allow myself to trust her timeline and process. By sheer fact that writing a novel takes countless iterations, if I don’t see a bunch of crumpled paper I can get sort of antsy. But she thought about her contribution to the book from the first weekend I started writing it five years ago. She sketched the cover art the same day. It’s just that, whereas I fill up a bunch of notebooks with chicken scratch, she thinks through a thousand versions of what the artwork can be so that when she finally does set a pen to paper, the process is more refinement than inventing from scratch. She’s a rockstar and I’m damn lucky to be married to her. On Friday’s event at the Strand you’ll be in conversation with Dallas Athent; I heard her read poetry at The Loaded Canon. Is she a connection through the Greenpoint Writer’s Group? Dallas Athent has been a collaborator of mine for a few years now. We found each other separately from the Greenpoint Writers Group but the circles overlap more often than not, since most of us are independently putting our work out there. She’s a killer writer and a great asset to the indie lit community—from curating events for Nomadic Press to editing the story collection Bushwick Nightz. To put it simply, I wanted her to be the one facilitating the Strand event because she’s the consummate professional and brings a really dynamic perspective to the table. It’s really fun that you’re launching in the Strand’s Rare Books Room. Are there any specific rare books you feel good about reading near? I’m a sucker for the greats, so I’d say reading in front of the first edition of One Hundred Years of Solitude is going to be the highlight. That, or Harold and the Purple Crayon. It’ll be a night-of decision. Correction: The original version of this post was revised to correct the spelling of Nathaniel Kressen’s name.